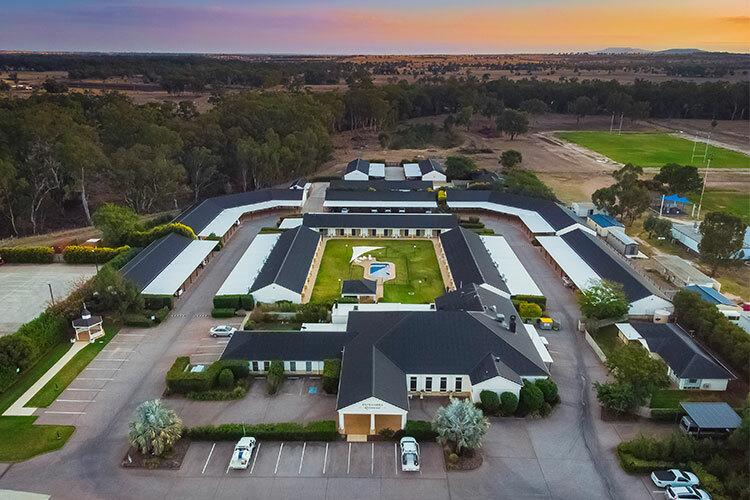 Roma Explorers Inn boasts 89 spacious ensuite rooms and apartments, providing comfortable long-term accommodation and extensive facilities to workers in the Surat Basin region. 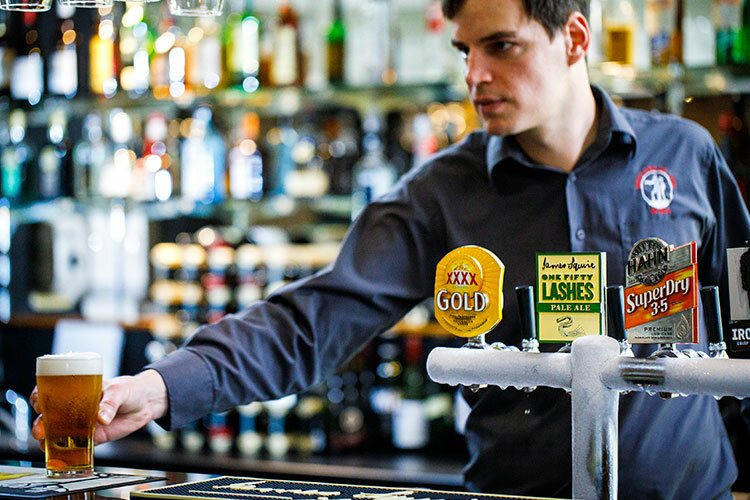 Let us take care of your breakfast and dinner in our restaurant, offering a seasonal menu that focuses on local produce in the Queensland outback. We’re open for dinner everyday from 5.30pm. Buffet breakfast if provided Tuesday to Friday from 5.30am to 8.30am, and room service on all other days including public holidays. Packed lunches available 7 days. From a ‘room only’ long stay rate to all-inclusive rates, we can tailor a package just for you! Call 0746 201 400 and let us build you the perfect package. 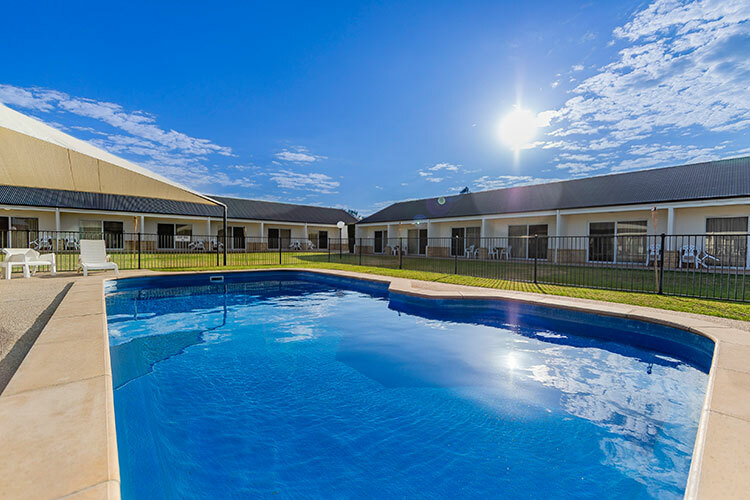 Workers can enjoy their stay with access to various facilities on our property. Take a swim in our pool or take a walk around the green spaces surrounding our property. 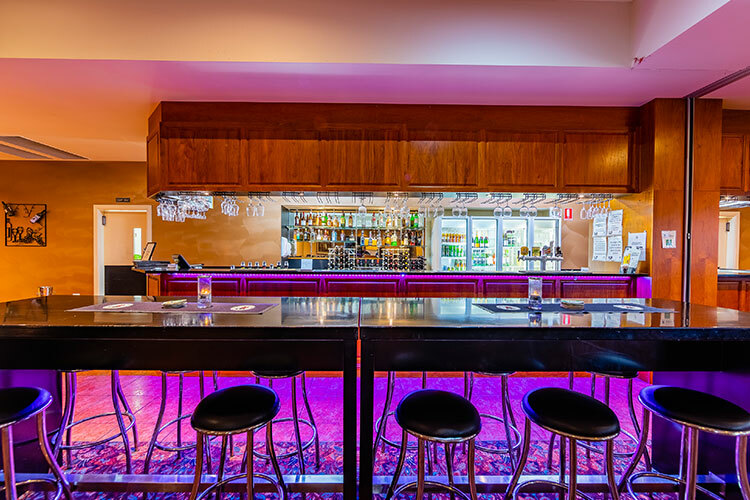 Alternatively, our lounge bar offers a welcoming area to mingle with other guests and enjoy a cold beverage. Feel like heading into town? Our courtesy bus runs 7 days from 5pm. We also offer access passes to the local snap fitness gym. Free WiFi is provided to all guests, so contractors can Skype with their families, catch-up on the latest news, or work at the desk included in each room. To truly make Roma your home away from home, our rooms are stocked with essential amenities plus the things you may have forgotten before getting here. Air conditioning and heating is supplied to all rooms to provide maximum temperature control & we’ve also got parking facilities for your coaches, trucks & caravans. Looking to relax after a hard day’s work? 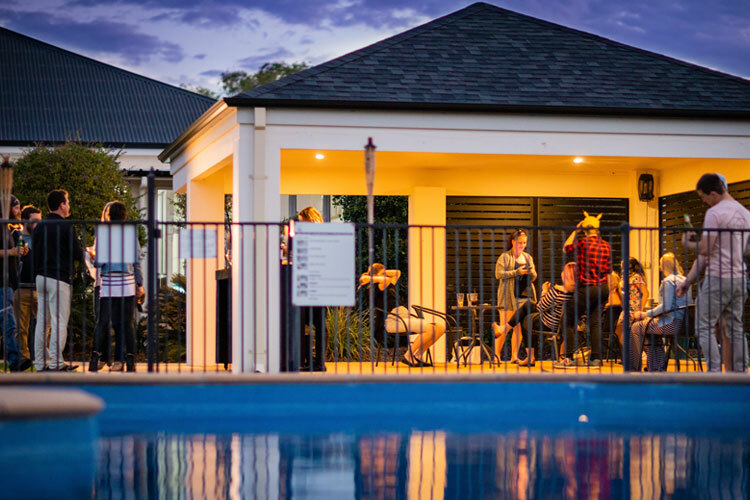 Sit back and unwind with TVs, bar fridges, onsite laundry, coffee and tea making facilities included in all our accommodation options. We are situated close to Roma’s town centre and various CSG developments. Our complimentary airport transfers are designed to make your trips as smooth as possible, perfect for anyone looking for business accommodation in Roma.